Hello Stampers! I've got a sweet and simple card to share today. 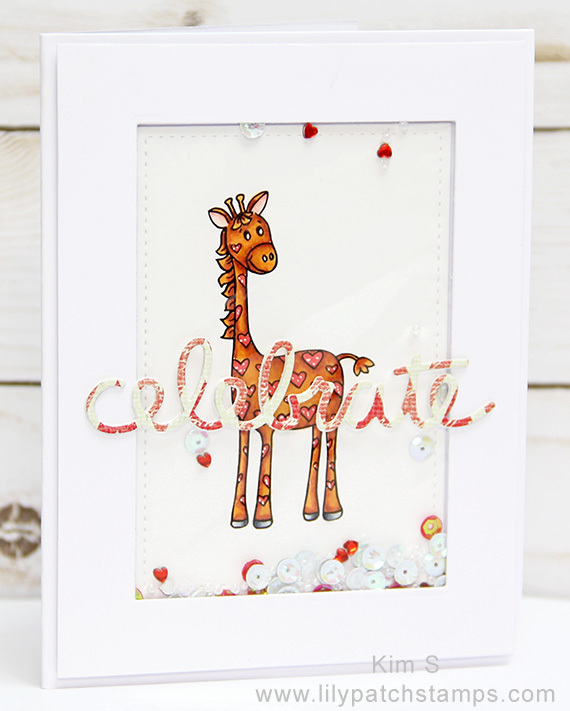 I am using Sweet 'n Sassy Stamps image called Spotted Heart Giraffe for today's Tuesday Throwdown shaker card challenge. I colored in the image using Copic markers and created the shaker portion of the card using dies and a variety of sequins and beads. Join our team and share your creation with us over at the TT challenge blog. 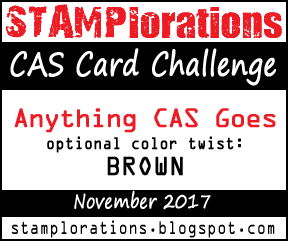 SNSS has offered up a wonderful prize for this week's challenge. Fab card, very cute image. Thanks for sharing at AAA Cards. The giraffe is adorable and I really like the celebrate across it! Love your fun shaker card- you have beautifully colored that sweet giraffe. The sentiment cut from DP is a nice touch! awww, this is so adorable! 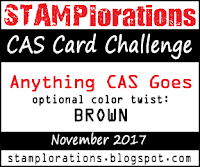 Thank you for joining us at the Stamplorations November CAS Challenge!